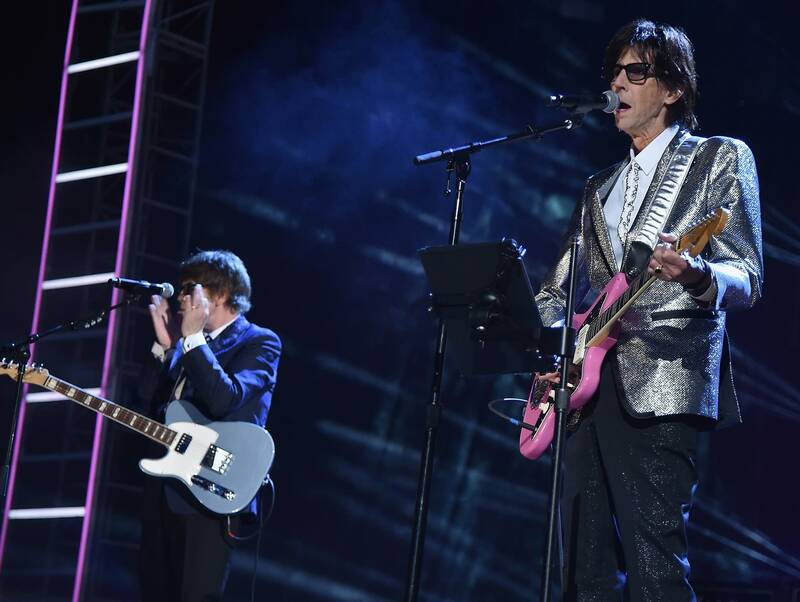 On Saturday night in Cleveland, the Cars, the Moody Blues, Bon Jovi, Dire Straits, Sister Rosetta Tharpe, and Nina Simone were inducted into the Rock and Roll Hall of Fame. The Cars were the night's big reunion, playing hits including "Just What I Needed," "You Might Think," and "My Best Friend's Girl." The night's big no-show was Dire Straits leader Mark Knopfler, with founding bassist John Illsley the band's highest-profile member in attendance. How about that Taylor Swift cover of "September"?